Book | Availability: Items available for loan: [Call number: GESCH 440 F SG] (1). Book | 1991 | More titles to the topic Availability: Items available for loan: [Call number: SH 3 D] (1). Book | 1995 | More titles to the topic Availability: Items available for loan: [Call number: SOZ 325 F] (1). Book | 1990 | More titles to the topic Availability: Items available for loan: [Call number: GESCH 458,2 F] (1). Book | 1951Availability: Items available for loan: [Call number: GESCH 645 F SG] (1). Book | 1975 | More titles to the topic Availability: Items available for loan: [Call number: SH 600 F] (1). Book | 1965Availability: Items available for loan: [Call number: POL 148 F] (1). Book | 1970 | Burckhardt, J | Carlyle, T | Cromwell, O | Hitler, A | Marx, K | Morus, T | Müntzer, T | Napoleon | Sorel, G | Swift, J | Stalin, J. WSeries: Geschichte im Buch.Availability: Items available for loan: [Call number: POL 658 F] (1). by Morton, Frederic [Autor] | Freund, Michael [Redakteur]. 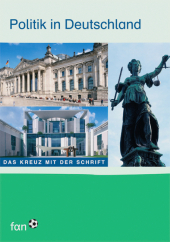 Book | 1998 | Rothschild <Familie> | Geschichte | More titles to the topic Series: dtv 30646.Availability: Items available for loan: [Call number: WI 154 ROT] (1). by Akademie | Freund, Michael. Book | 1977Series: Schriftenreihe der Akademie Sankelmark: 35Availability: Items available for loan: [Call number: SH 560 A SG] (1).